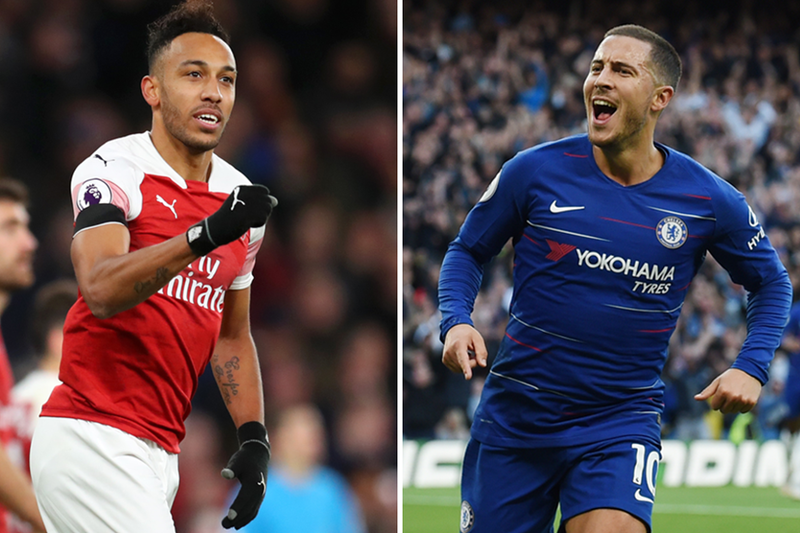 Pierre-Emerick Aubameyang (£11.3m) and Eden Hazard (£11.1m) were among the top four captains in each of the last two Gameweeks in Fantasy Premier League. But they face a challenge to overtake Mohamed Salah (£13.4m) at the summit in Gameweek 23. The Egyptian is likely to be the big armband favourite for Liverpool's home match with Crystal Palace. Aubameyang and Hazard, meanwhile, meet at Emirates Stadium on Saturday evening. However, the records of both players suggests that they should not be overlooked for the captaincy. Aubameyang has been prolific in his recent home matches. The Arsenal striker has 43 points over his last four in front of his own fans, producing five goals and three assists. Hazard, conversely, has excelled in Chelsea's recent away fixtures. He has 36 points over his last four road trips, producing three goals and two assists. Manchester City wide men Raheem Sterling (£11.3m) and Leroy Sane (£9.6m) offer strong alternatives as they visit Huddersfield Town. Pep Guardiola's side beat the Terriers 6-1 in their last meeting, back in Gameweek 2. Both Sterling and Sane rank among the top five regular midfield starters for points per match, with 7.0 and 5.8 respectively. Their team-mate Gabriel Jesus (£10.1m) could be a major differential. He scored twice in Monday's win over Wolverhampton Wanderers and now has seven goals in his last three appearances in all competitions.